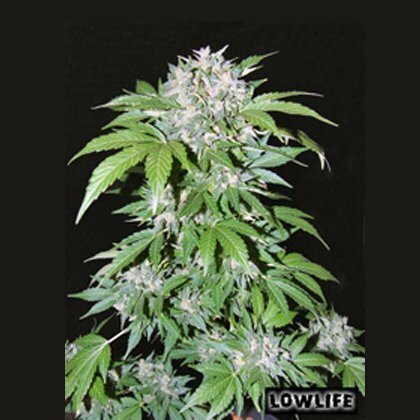 Auto AK47 from lowlife seeds is an autoflowering version of the classic AK47 cannabis strain made famous by the Serious Seed company. Lowlife auto Ak47 is a big yielding auto strain that really packs a punch and will have finished flowering In around 9-10 weeks from when it was planted. The new wave of autoflowering hybrids is finally here, and leading from the front is the Automatic AK47! Our first foray into the autoflowering world and still our favourite. Crossing the very best AK47 we could find with the autoflowering genes of Lowryder, we have produced a strain that is the perfect blend of the two. Everything that we loved about the AK47 has been left intact from its beautiful aroma and resin encrusted buds through to its unique bud structure and astonishing potency. The cross with Lowryder means that now it can be grown virtually anywhere. 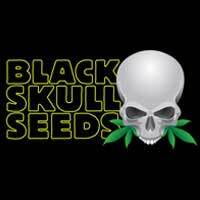 Balconies, patios, window boxes, indoors or outdoors, connoisseur grade marijuana is now attainable for every grower. Autoflowering strains flower in response to age rather than light cycle. Automatic AK47 will grow vegetatively for approximately 14 days then enter into a rapid, almost violent flowering period. For the next 56 days they will branch out profusely, throw out pistils in their thousands, calyxes will swell and a coating of resin glands will make the mature plant glisten as if dusted with fine diamonds. Odour levels are quite high and a large quantity of flowering females can certainly produce quite an aroma! There are 2 distinct variations in aroma, one is somewhat spicy and the other is sweet but both types produce the same effect. 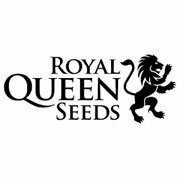 Previously, especially in the northern hemisphere, the average grower was limited to the strains one could grow successfully. Now with Automatic AK47 you can grow marijuana that before, many would have no chance of fully ripening under natural outdoor conditions. With a lifespan of a mere 70 days from seed to harvest it is not only possible to get an early harvest of high quality marijuana but multiple harvests per season. Indoors, a perpetual harvest has never been easier to maintain. 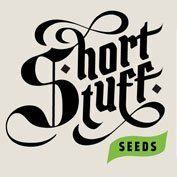 The increased height compared to earlier autoflowering strains brings with it increased yield. Indoors under lights is the optimum growing environment for Automatic AK47, coupled with a light regime of 20/4 and adequate rootspace, yield can easily surpass 40g per plant but even outdoors with no supplemental lighting during summer, 30g per plant is very common. We believe that our Automatic AK47 is the most potent autoflowering hybrid available as well as the heaviest yielder.